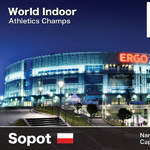 The 2014 season gets underway with the World Indoor Athletics Championships (Fri 7 - Sun 9 March in Sopot, Poland), while the European Athletics Team Championships (top division) will be held in Braunschweig, Germany from Sat 21 - Sun 22 June. 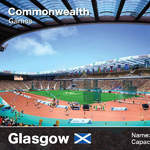 Two two major championships will be contested in the Summer: the Commonwealth Games (Sat 27 July - Sat 3 August) in Glasgow, Scotland and the European Athletics Championships (Mon 12 - Sat 17 August) in Zurich, Switzerland. 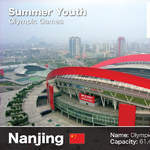 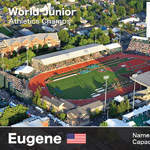 There are two global age group championships in 2014 with the world's finest young athletes taking part in the World Junior Championships (Tue 22 - Sun 27 July in Eugene, USA) while the Youth Olympic Games (Wed 20 - Tue 26 August in Nanjing, China) promises to be a real showcase of future athletic talent. 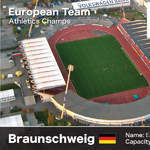 Click on any image below for a full-size version. 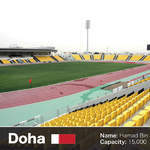 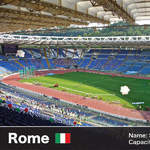 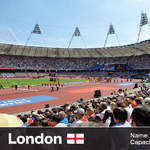 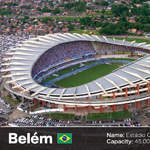 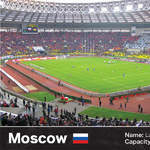 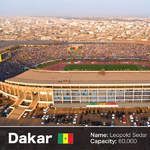 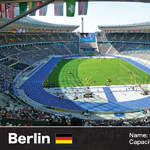 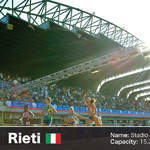 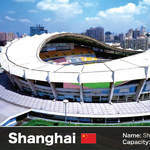 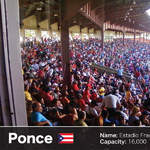 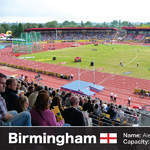 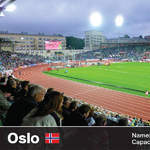 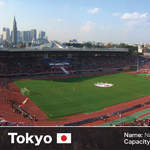 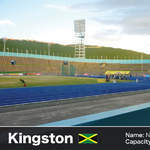 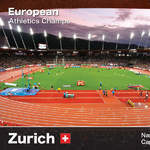 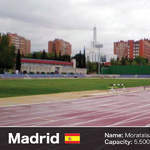 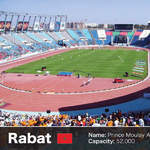 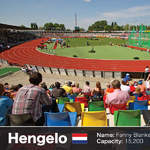 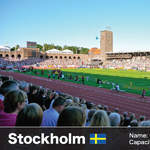 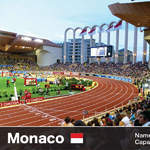 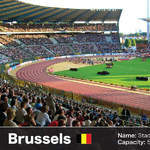 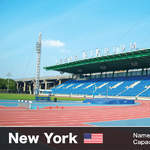 The 14 stadiums that will be used for the 2014 IAAF Diamond League athletices series are spread across three different continents. 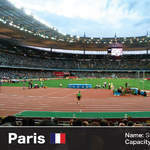 Largest of all is the magnificent Stade de France in Paris that boasts a 81,338 total capacity, although this is reduced when staging athletics events due to the seating configuration. 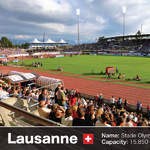 The 2014 IAAF World Challenge Series comprises a further 15 international athletics meetings in each major continent of the world. 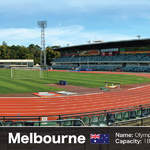 The circuit traditionally starts in Australia before moving to Asia and Central / South America before visiting Europe and Africa, where over half of all the meetings (nine) take place. 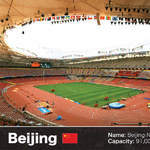 Beijing was a new addition last year.